We at Emues are true fans of the Malmö Festival and excited to announce the collaboration between the Malmö Festival and Emues this summer. The crew behind the Malmö Festival have the most impressive and diversified line-up this year, check out the festival program here. And this summer YOU are given the opportunity to have an impact. If you can’t make up your mind, simply click “Get FREE Ticket” to both suggestions! The Malmö Festival is a free festival, so this is the first FREE concert booked through Emues.com. Learn more about the Emues concept and a bit about how it works here on our About-page. Read more about the artists and this concert on the Malmö Festival webpage. Follow the Malmöfestival on Twitter and Facebook. Are you attending the festival? 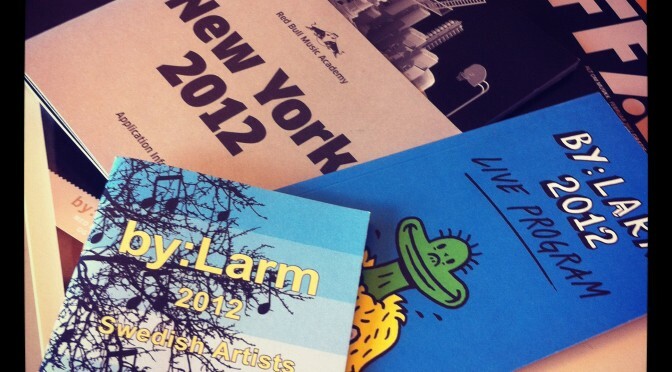 – Share with us your best tip of what not to miss during the festival here on our blog. We are looking forward to see you August the 18th at 7:30 pm on Gustav Adolfs torg in Malmö, Sweden!